Transitioning communities away from carbon-reliance is a serious challenge; in order to achieve the target of $53 trillion in clean energy investment needed by 2035 to keep global warming under two degrees, the International Energy Agency suggests using several tools, including Green Bonds. 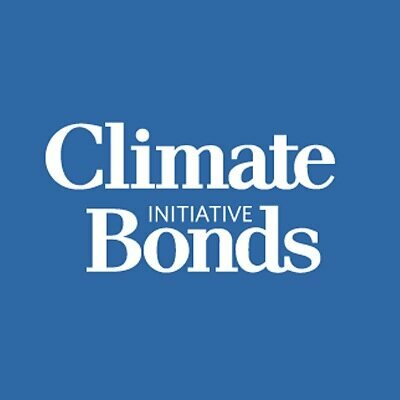 Green Bonds can advance adoption of innovative new technologies, finance projects that provide green jobs, and promote economic and climate resiliency across regions. Investors are increasingly demanding socially responsible investment (SRI) opportunities and have expressed a strong appetite for green bonds by repeatedly oversubscribing issuances. While retail investors demand sustainable investments from their brokers and fund managers, institutional investors are using green bonds to address ESG (Environment, Social, Governance) mandates, something that, before Green Bonds, had been a struggle to address with fixed income tools. As a result, green bond issuances have attracted new investors and new types of investors, providing a potential market for future issuances. Green bonds are an excellent way to secure large amounts of capital to support environmental investments that may not otherwise be available, or that may be uneconomic using more expensive capital. Green bonds are well suited for large-scale sustainability projects such as wind and solar development, which often require capital investment ahead of revenues, and which generate modest revenue over a longer investment horizon. 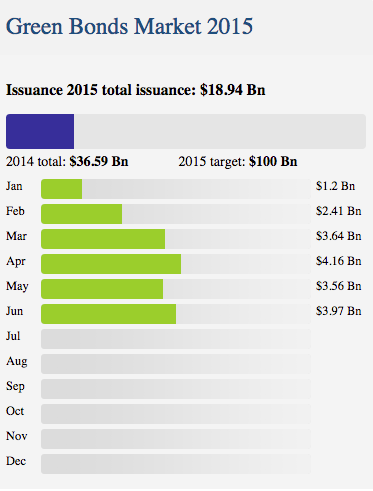 For the foreseeable future, green bond issuers are leaders in developing this space. They can encourage other municipalities to participate and establish a financially innovative reputation. Early adopters will pave the way for the rest of the nation in financing environmental projects. Government leaders may also participate in working groups and coalitions, which are shaping the market, developing standards, and ensuring lasting success. Green Bonds provide governments with a chance to brand themselves as forward thinking, innovative, and sustainable. The press continues to cover green bond issues favorably. The State of Massachusetts received international coverage by top financial news reporters, resulting in television coverage and interview requests for the treasurer. Read media coverage for more examples. Green Bonds offer an exciting opportunity for both investors and issuers to encourage sustainable growth while leading the investment community. Green bonds provide several advantages over other financing options. They provide institutional investors with a means of accessing sustainable investments in the fixed income market in a familiar, low-risk vehicle. Issuing this emerging security type sends a strong, pro-active message to stakeholders while attracting a new investor base. Green Bonds also provide municipalities with an ideal opportunity to develop Public-Private-Partnerships (PPPs) to accelerate the advancement of new technologies and energy efficiency. One example of this is the “Morris Model”, where Morris County issued low cost bonds for solar projects on government buildings, passing along the low cost to a private developer.